Olympus and Panasonic have been engaged in joint development of cameras that comply with the Four Thirds System standard for interchangeable-lens-type digital SLR cameras, and will display the fruit of their labors at the PMA 2006 International Convention and Trade Show that starts today, February 26, in Orlando, Florida. Olympus will exhibit the E-330, a recently introduced digital SLR that incorporates jointly developed technologies, and Panasonic will announce development of the Panasonic Lumix DMC-L1, its first digital SLR camera. A prototype of the Panasonic Lumix DMC-L1 digital SLR will also be exhibited at the PMA 2006 Show in Orlando. Olympus E330 - Panasonic DMC-L1 - The two cameras are the result of an agreement announced on January 13, 2005, under which Olympus and Panasonic agreed to jointly develop underlying technologies and key components, and promote the introduction of digital SLR camera products that take full advantage of the significant user benefits offered by the Four Thirds System standard. The jointly developed mirror box unit and Live MOS sensor used in the two new cameras have significant implications for SLR performance, and have made it possible to develop products with capabilities that go far beyond digital SLR cameras of the past. The mirror box unit integrates a quick-return mirror, viewfinder, and AE sensor, and effectively functions as the heart of the SLR camera. It was specifically designed and developed so that it could be used in both Olympus and Panasonic products. Live MOS sensor - High image quality - The Live MOS sensor is a new-generation sensor that offers the high image quality of a CCD sensor and the low power consumption of a CMOS sensor, thereby making it possible to display Live View images on a digital SLR camera for an extended period of time. In addition, because the sensor features simplified circuitry, the distance from the microlenses to the photodiodes is short, ensuring improved response and higher image quality when light strikes the sensor at an angle. Olympus and Panasonic Four Thirds System SLR cameras - Utilizing these advanced new devices, Olympus and Panasonic will continue to develop products according to their respective product strategies. Olympus has already utilized these jointly developed components in the recently introduced E-330, which is the first interchangeable-lens-type digital SLR in the world to offer full-time Live View framing via a rear-mounted LCD monitor - a feat that until now was thought to be difficult to achieve. 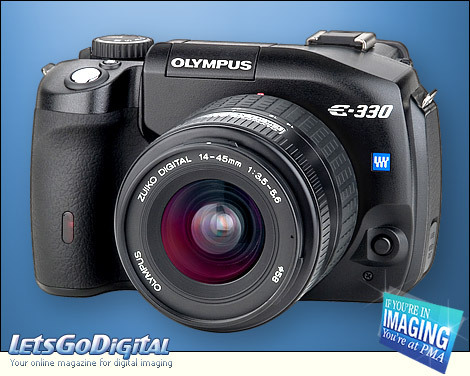 With its Live View capability, the Olympus E-330 is an epoch-making product that makes it possible for users to enjoy a new style of digital SLR shooting. 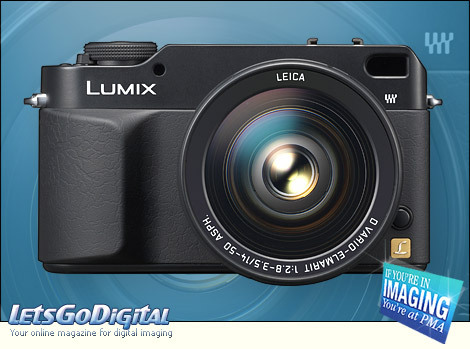 Panasonic Lumix DMC-L1 - Venus Engine III image processing - As its first digital SLR camera, Panasonic has developed the DMC-L1, which combines the operating feel of an analog camera with Live View shooting and other ease-of-use features that are unique to digital cameras. By using the Live MOS sensor and proprietary Venus Engine III image-processing LSI, Panasonic has maximized the performance potential of both devices and successfully achieved the high image quality and high processing speeds that are critical to SLR camera performance. Following additional development efforts, Panasonic will introduce the DMC-L1 later this year. Four Thirds System Standard - By teaming Olympus's industry-leading SLR camera technology with Panasonic's advanced digital AV technology to offer Four Thirds System digital SLR cameras and a wide lens lineup, the two companies plan to offer camera enthusiasts a level of creativity and satisfaction have never experienced before. The Four Thirds System standard defines design and development standards for digital SLR camera systems that fully realize the performance potential of digital imaging technology. Four Thirds System cameras use a 4/3-type image sensor that makes it possible to achieve the high image quality and high mobility demanded of SLR camera systems. In addition, the Four Thirds System defines an open standard for lenses and lens mounts that assures compatibility between bodies and lenses produced by various manufacturers participating in the standard.